Hurricane Irma is over Naples and its eye will be moving north along I-75 the next couple of hours. 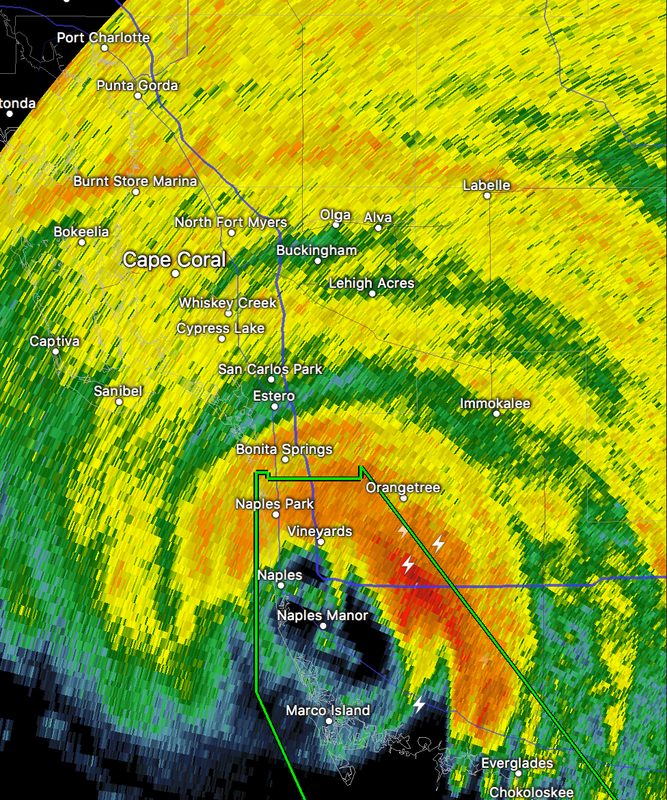 Wind gusts of 142 mph have been reported at the Naples airport as the eyewall passed. Water level in Naples has risen 3' in 18 minutes and still rising rapidly. Communities to the north northwest of Naples should prepare for extreme conditions as the evening progresses.